In a large skillet, heat the oil until shimmering. 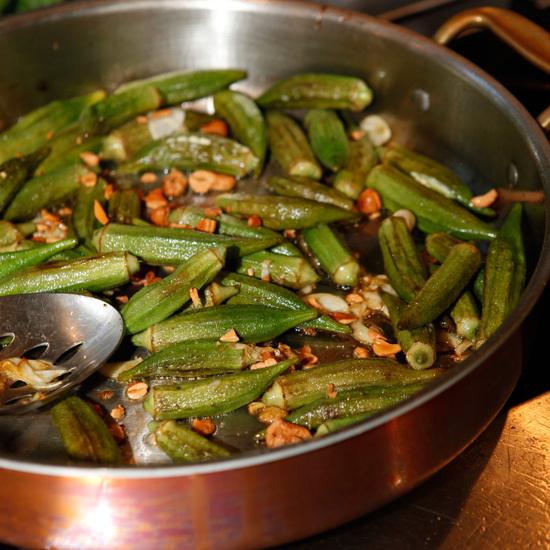 Add the okra, season with salt and pepper and cook over high heat, stirring, until tender, about 5 minutes. Add the garlic to the skillet and cook over moderate heat until softened and fragrant, 3 minutes. Stir in the cashews and lime zest. Transfer the okra to a platter, garnish with the lime wedges and serve.